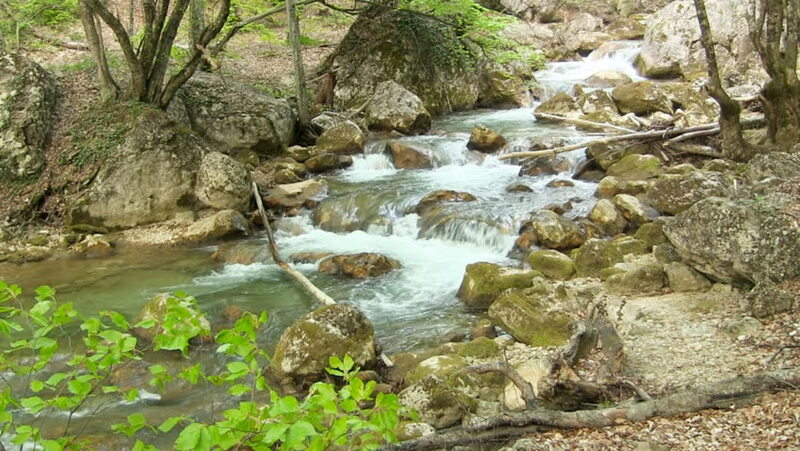 4k00:09Quick mountain stream among stones. On a sunny day in summer or in spring. Close-up.